FREE 1000mm flue pipe, register plate, carbon monoxide detector, black fire cement, coal shovel and companion set available with this stove. 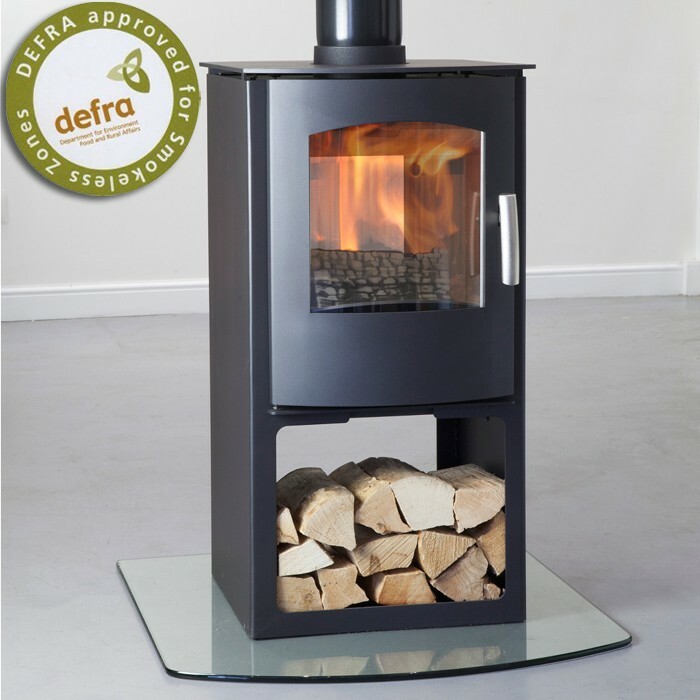 The Mendip Churchill 8 Log Store Double Sided Multifuel Stove is DEFRA approved for use in smokeless areas unlike most other double sided stoves on the market. The Mendip Churchill 8 Double Sided Logstore Multifuel Stove features the contemporary styling found on the standard Churchill 8 with sleek lines and curved glass panels. The Mendip Churchill 8 Log Store Double Sided Multifuel Stove enables you to store wood under the stove for added convenience. The Log store also raises the fire box nearer to eye level so you can make the most of the action inside. 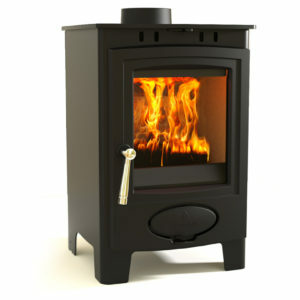 The Mendip Churchill 8 Double Sided Logstore Multifuel Stove is packed full of advanced features. 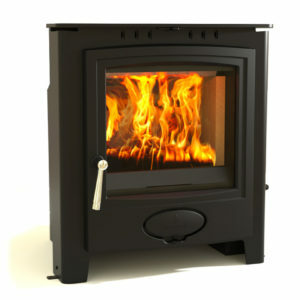 A powerful airwash system helps to keep the glass free from soot deposits to enable you to fully enjoy the fire inside. The Mendip Churchill 8 Double Sided Logstore Multifuel Stove has an insulated firebox chamber to maximise heat output and efficiency. 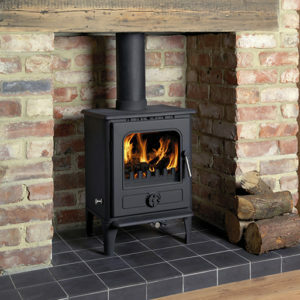 The Mendip Churchill 8 Double Sided Logstore Multifuel Stove enables you to enjoy the fantastic flame pattern from both sides meaning the stove can be positioned between 2 rooms or be the centerpiece of a room. Both doors can be opened allowing you to load the stove with fuel from either side. Controlling the Mendip Churchill 8 Double Sided Logstore Multifuel Stove has been made extremely simple with one single control. As well as ensuring it was as efficient as it can be, to limit the amount of ash, Mendip made sure that running and maintaining the stove was simple too. This was done by including simple features such as a cool touch handle, adjustable feet for install and an air wash system to help keep your glass cleaner for longer and all together they add up to a big difference making the Mendip Churchill 8 Log Store Double Sided Logstore Multifuel Stove one of the simplest large output stoves to run. 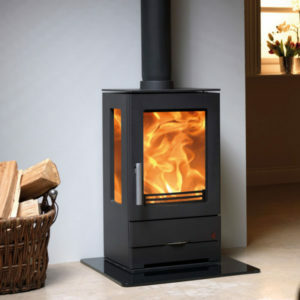 As well as efficient burning and simple operation it is always important that your stove looks the part, the Churchill doesn’t disappoint, with its smoothly curving door and glass and simple clean lines its perfect for just about any room.